Our laboratory has been producing a comprehensive range of penile injections (available on prescription) for the treatment of erectile dysfunction (ED) since 2000 and thus we are considered specialists in this field with extensive experience. 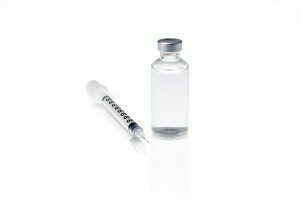 Although the thought of penile injections usually instigates a negative response in most men they are one of the most effective treatment methods available. Advantages include only administering tiny doses at the site of action which results in fewer side effects, and in many instances it is more effective than any other form of treatment. (1) BIMIX – various combination of alprostadil and phentolamine are available. (1) Automatic Injection Device – We also supply Autoject 2 which is an automatic injection device in which you load your standard insulin syringe. The device will automatically inject the needle and empty the syringe contents for you. Click here for Autoject 2 instructions. To order a AutoJect device click here on Autoject. The benefits with this method is that it is significantly cheaper than the needle-free alternative and the results are immediate. It may also help needle phobic patients as you cannot see the needle once it is loaded into the device. Our laboratory has developed and been producing this range of injections available only with a prescription to treat ED for nearly 20 years and thus are one of the most experienced in the country. Being the first to develop many ED formulas and now the first to use needle-free injections many others are now trying to imitate us.